Next we headed off to rehearsal. Piper tried to take Liz's seat, but we told her she wasn't quite ready for prime time. After rehearsal, we headed to the famous Cincinnati Zoo. The snow from the morning had melted and it was turning out to be a beautiful day. My favorite part was, of course, watching the bonobos. Four were out today: an adult male, an adult female, and their two children aged 3 and 6. I sat for about 45 minutes and watched them interact. The 3 year old, Kabibi, loved to play, especially with his toy frisbee. The 6 year old, Zeke, was mostly interested in sneaking in some nursing time with mom while Kabibi was distracted. Mom stayed busy keeping tabs on everyone, and dad took some turns playing chase with the kids. The scene looked really quite familiar actually! 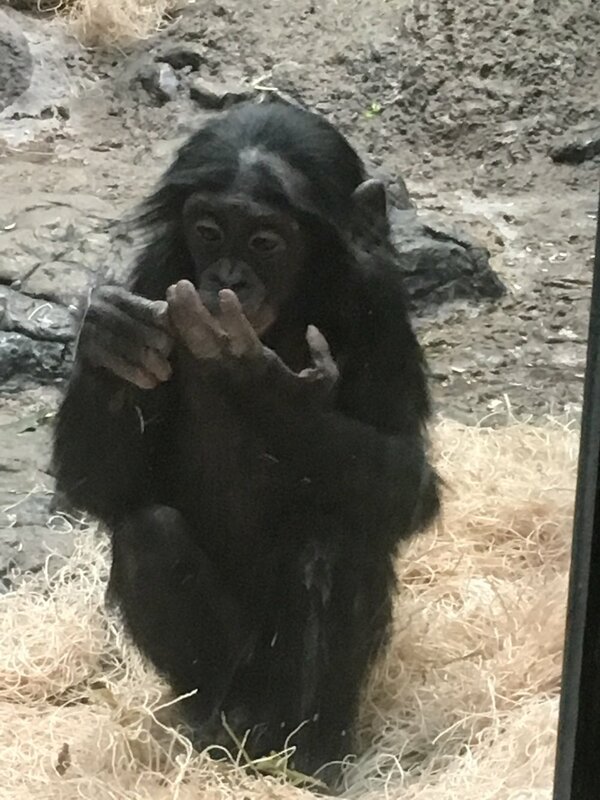 The bonobos got a kick out of Piper. 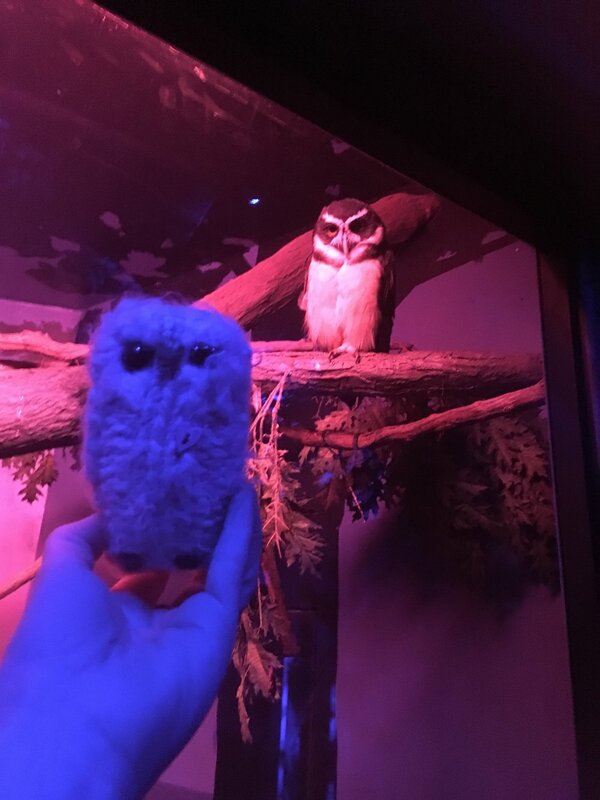 I don't think they'd had an owl visitor before. We saw some other beautiful animals as well, but I bet you can guess Piper's favorite. See below to find out. We have eaten excellent food, too much really! Our favorite find was this sidewalk counter called "Whole Bowl". They serve up one dish, a bowl (surprise) full of rice, beans, avocado, sauces, cheese, and sour cream. I guess a woman from Cincy opened up a bunch in Portland and her brother decided to open up one here at home. Simple, healthy, and delicious!